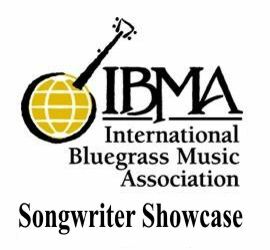 Nashville, TN -- The International Bluegrass Music Association, Inc. and the IBMA Foundation (formerly the Foundation for Bluegrass Music Inc.) have officially merged into a single organization. The merger recognizes and formalizes the historic relationship between the two organizations and will help to strengthen coordination of their fundraising and operations. Nashville, TN -- The International Bluegrass Music Association (IBMA) Youth Council is programming a special series of events just for youth at the World of Bluegrass in Raleigh, NC. Youth-centered jams, seminars, workshops, performances, and more will be taking place all week, September 27-October 1, 2016 offering more ways than ever to get involved in bluegrass music! One of the highlights each year is the Youth Stage performances. Nashville, TN -- Tickets are now on sale for the International Bluegrass Music Association’s World of Bluegrass event, held September 27 – October 1, 2016, in Raleigh, North Carolina. 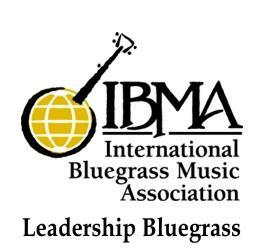 Nashville, TN -- The International Bluegrass Music Association (IBMA) is pleased to announce the graduating class of Leadership Bluegrass 2016. Leadership Bluegrass, held annually since 2000, is an intensive, highly-focused three-day program in which leaders and emerging leaders of the bluegrass community come together to discuss the victories and challenges facing the bluegrass music industry today, and to strategize for the future. The tightly-contested seats were awarded to 26 participants from 14 states, who were chosen by a selection committee from a pool of 62 applicants. Nashville, TN -- The International Bluegrass Music Association has announced its Leadership Bluegrass Class of 2016. Leadership Bluegrass is an intensive three-day program of advanced interactive learning experiences. A cross-section of people with exhibited or potential leadership qualities examine the opportunities, choices and challenges of the current music industry, in bluegrass and beyond. The program is taught by high-profile music industry and business professionals, and encourages independent and collaborative thinking, new perspectives and a fresh approach to the issues facing the modern bluegrass community. Nashville, TN -- AirPlay Direct is proud to present this year’s IBMA Momentum Awards for Vocalist & Band of the Year. AirPlay Direct will be co-sponsoring the IBMA Momentum Awards for the 3rd year in a row. Robert Weingartz, Chairman – AirPlay Direct, and Lynda Weingartz, CEO – AirPlay Direct will be introducing Gold Heart for their performance during the awards luncheon, and will then present the 2015 IBMA Momentum Awards for Vocalist and Band of the Year. The new Executive Director for the International Bluegrass Music Association (IBMA), Paul Schiminger, has put together an educational video that explains the entire process for the association's annual awards and the voting process that ultimately decides the winners. Held annually since 1986, today almost two dozen awards are handed out to recognize the top achievements across the industry. The awards feature new professionals through the Momentum Awards through the normal music awards and finally the Hall of Fame inductions. Some awards are voted on by the professional membership and some are determined by select committees without voter input. This year at IBMA Business Conference 2015, on September 30th at 8:30am EST, AirPlay Direct will be presenting a 1 hour exclusive industry panel on “Who We Are”, “What We Do” and how we benefit “You” directly. This panel is specifically designed for the artists, record labels, radio stations, radio promoters, PR firms, managers, publishers, etc. that comprise the professional, global bluegrass community at large. Nashville, TN -- This year at IBMA Business Conference 2015, on September 30th at 8:30am EST, AirPlay Direct will be presenting a 1 hour exclusive industry panel on “Who We Are”, “What We Do” and how we benefit “You” directly. This panel is specifically designed for the artists, record labels, radio stations, radio promoters, PR firms, managers, publishers, etc. that comprise the professional, global bluegrass community at large. This panel will feature Robert Weingartz, Chairman & Creator – AirPlay Direct, Lynda Weingartz, CEO – AirPlay Direct and 2 “Featured Guest Panelists”.